On March 28, Ukraine national team played the second friendly game in preparation for the EURO 2016 finals. In Kyiv, the charges of Mykhailo Fomenko have defeated Wales. 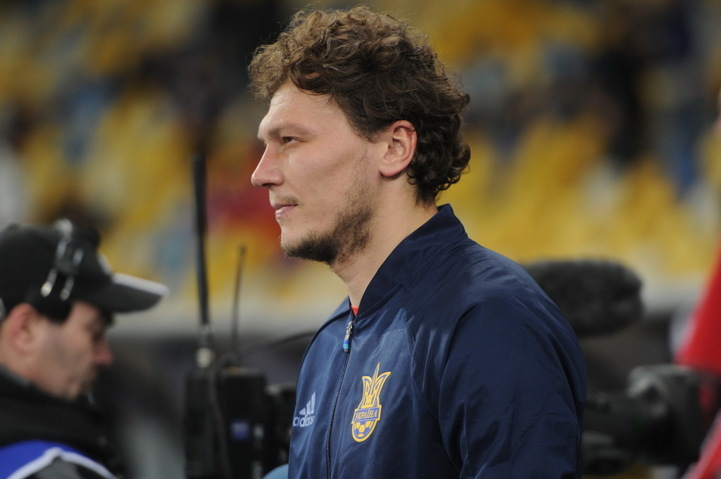 The starting line-up involved five representatives of Shakhtar: Andriy Pyatov, Oleksandr Kucher, Vyacheslav Shevchuk, Taras Stepanenko and Viktor Kovalenko. The teams started the match very cautiously, so the audience had to wait a while for some dangerous situations. In the 13th minute, Pyatov cleared the ball from under the crossbar for a corner following a mid-range shot by Lawrence. On 25 minutes, Kovalenko could have opened the scoring after a delivery by Fedetskyi, though Viktor missed the ball by a few centimetres. Yet Ukraine took the lead shortly afterwards: Kovalenko earned a penalty, with Yarmolenko flicked in a set-piece delivery by Rotan. In the open stages of the second half, the visitors threatened on goal after a free kick only to see Pyatov make a confident save. A few minutes later, the goalkeeper of Shakhtar and Ukraine national team fisted off a powerful shot by Allen from about 25-metre range. In the following episode, Kucher responded to Rotan’s set play, but headed it wide. Shortly before the final whistle, Pyatov turned the ball away for a corner after Richards’ near corner attempt. That's all the teams managed to create in the second half of the meeting. Ukraine national team played in an organized and reliable manner defensively and claimed a win.